If you have ever witnessed a friend become famous, you know what a bittersweet experience it can be. 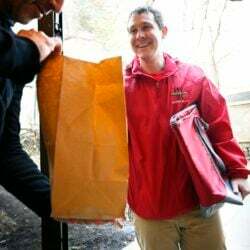 As the world learns about how wonderful your friend is – as you start to see a familiar face appear in unexpected places online and in magazines – it makes you happy, and maybe even a little proud. Meanwhile, more and more people clamor for slivers of your friend’s time, and it becomes difficult to find ways for you to get together, until you eventually discover a new equilibrium between absence and affection. It’s a lot like Portlanders’ relationship with Eventide Oyster Co., the bright, tightly conceived raw bar and small-plates restaurant that opened in mid-2012 and quickly became the well-deserved focus of both local and national attention. In addition to a 41/2-star review in this paper that “found little to fault” that autumn, chef/owners Andrew Taylor and Mike Wiley, along with co-owner and general manager Arlin Smith, were celebrated in Food & Wine magazine’s Best New Restaurants of 2012. Then came the brightest spotlight of all: Taylor and Wiley were finalists for the James Beard Award for the best chef in the Northeast in both 2015 and 2016. Smoked mackerel at Eventide Oyster Co. in Portland. BOTTOM LINE: Eventide Oyster Company may well be Portland’s best-known seafood restaurant (and with a Boston outpost planned for this year, it may soon become Beantown’s). Owned by chefs Mike Wiley and Andrew Taylor, along with general manager Arlin Smith, Eventide has been lauded by both local and national press for its updated, eclectic take on classic seafood shack cooking. Start with an assortment of oysters on the half-shell, most of which come from Maine. The selection rotates with seasonal availability, but if fat, barely wet Browne Point (Damariscotta) or flinty, mineral Pine Point (Scarborough) oysters are on ice when you visit, order them, along with the sinus-clearing horseradish ice. Any of Eventide’s exceedingly good buns — all served on a housemade, steamed, split-top roll — are a safe bet, but the brown butter-and-lemon-dressed lobster roll and Southern-inspired fried chicken bun, topped with pickled jalapeños and onions, are unmissable. You’ll find Asian-inspired dishes on the menu as well, most of which pair well with Eventide’s selection of light, mostly European wines by the glass and bottle, as well as something from their unusually deep list of aromatized wines. Both the sultry, spicy, Thai-style Maine lobster stew and the unique nori-vinaigrette greens, served with long, thin ribbons of pickled carrot and daikon, are unforgettable standouts. Still, Eventide has a few drawbacks: You will very likely have to wait for a seat, and the space — all glass and hard surfaces — can get very loud. Both are especially true during high season, but even then, Eventide’s pleasures far outweigh its minor discomforts. It is easy to see why practically everyone, from locals to tourists, loves it here. 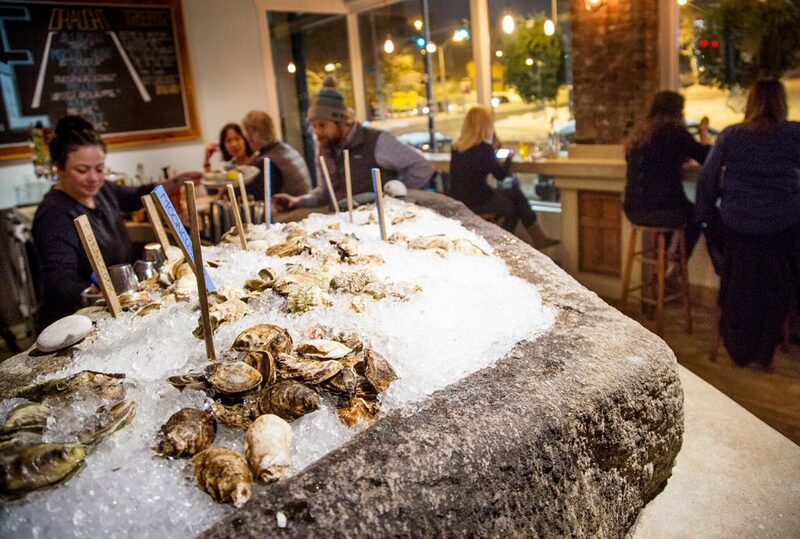 “We opened Eventide to be a small oyster bar for Portland, and that was our expectation. We thought it was going to be a little local spot. Our ambitions were pretty modest. Then it blew up on us, and it has been crazy,” Taylor said. With national recognition come crowds, especially in summertime, when Portland bloats with visitors, nearly all of whom seem to wind up camped out on Middle Street, waiting for a chance to order one of Eventide’s legendary lobster rolls ($14). You can hardly blame them. Freshly picked local lobster, slick with sharp, nutty brown butter and lemon dressing, cascading over the edges of a housemade, split-top steamed bun is as good a justification for waiting 90 minutes in a line as any I can imagine. 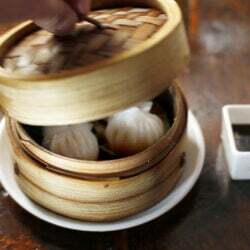 The kitchen uses that same moist, airy bun – a kissing cousin of Chinese mantou – on its other rolls, as well. “In the summer, we have to make 400 of those every day just to keep up. It’s a painstaking process,” Taylor said. The pale steamed buns lend a soft chew to sandwiches, like one stuffed with crisp, deep fried oysters and topped with pickled onions, jalapeños and a smoked paprika tartar sauce ($7). Or a Southern-style buttermilk fried chicken bun ($7) filled with cole slaw, ranch dressing, and garnished with delicate, translucent strips of sweet-tart pickled watermelon rind that takes days to prepare. All the same, extra effort differentiates Eventide from its competitors. 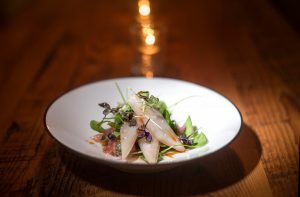 It’s there in dishes like the simple-seeming, yet singular greens ($7), an ample bowl of Laughing Stock Farm mesclun, served with homemade pickled vegetables: onion, cucumber and Rapunzel-esque turnings of carrot and daikon. And if four types of fresh pickles isn’t enough, the salad is dressed with a vinaigrette made from toasted, pulverized nori sheets, soy, mirin and shallot oil. Each bite tastes at once of the earth and the sea, in perfect symmetry. She certainly guided our selection well that night, steering us toward a half-dozen ($16), including massive and meaty Browne Points; mineral, flinty Johns Rivers (both from Damariscotta); and a pair of Pine Points from Scarborough with a saline complexity that tasted the way a wet gravel road smells. I generally like very little extra (or nothing at all) on my oysters, but I was won over by a punchy horseradish ice, as well as a more traditional red wine mignonette, with an ideal ratio of shallot to liquid that never masked the flavors of the oysters or their brine. Likewise, when it comes to cooked seafood, Eventide manages to find a way to preserve essential flavors. The stuffed mahogany clams ($7) offer a good example, with chopped, deepwater Gulf of Maine quahog meat that shines through against a backdrop of bacon, butter, parsley and paprika, and a breadcrumb-crunchy texture that reminded me of Thanksgiving stuffing. It’s true in the Maine lobster stew ($14), where even through a gauzy screen of aromatic ginger, green chilies and lemongrass, fresh lobster always remains the focus of the hearty, chive oil-dotted bowl, rich with coconut milk and substantial chunks of maitake mushroom. Then there’s the tender smoked mackerel ($11), balanced out, but never toppled by a cold salad of onion and bitter grapefruit. Or the restaurant’s gorgeous Tokyo-meets-Tennessee BBQ sablefish ($15), marinated in miso and served with braised collard greens and a dense, pan-fried sweet potato cake. Asian influences appear throughout the menu, yet thanks to the kitchen’s steadfast obsession with putting seafood first, never feel overstated or forced. 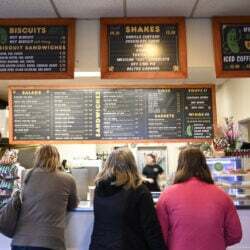 Taylor and Wiley’s comfort with those flavors has also undoubtedly only grown since sister restaurant The Honey Paw, an Asian noodle bar, opened next door in 2015, bookending Eventide with its fine-dining predecessor, Hugo’s. The three restaurants share owners, chefs and one huge, communal kitchen with a single walk-in refrigerator.